The BRSCC Super Cup is a one make series for the new Mazda Mx5 Sport race cars. It boasts close, highly competitive racing, visiting the top race tracks all around the UK, including Silverstone, Brands Hatch and Rockingham. 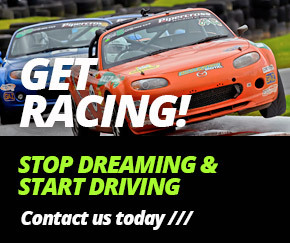 Blendini Motorsport has both hire cars and customer-owned cars competing in the series and is highly successful within the Championship, celebrating numerous race wins and podium finishes.